Hope to see you there. Fall is the best time to come to the beach and enjoy the exhibit. July 25, 2018--The Rehoboth Beach Museum has just informed us that the Annual Needlework Exhibit for 2018 will take place from September 15 through October 28. Entries will be accepted August 18th through the 26th. Below is more information about the exhibit, categories, etc. 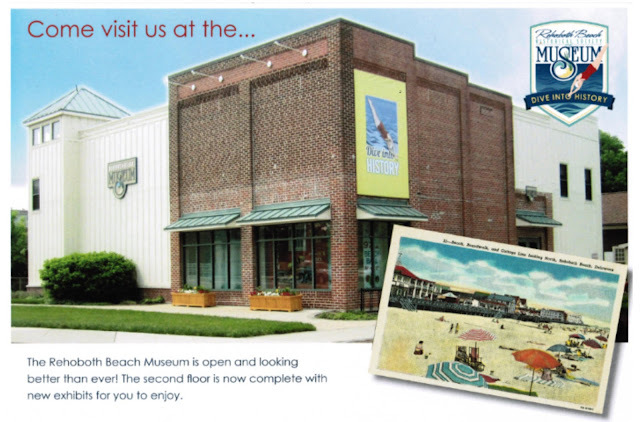 Hope you will visit the museum while enjoying the beaches in Delaware. It's a well presented exhibit showcasing the skills of stitchers from all around the Mid-Atlantic area. Friday, 10-4, and Saturday and Sunday, 11-3. DAILY ADMISSION FEES: Admission is by donation. There will be a closing reception for exhibitors October 28 from Noon to 3 p.m. Refreshments will be served. You may pick up your work no earlier than 3 p.m. PLEASE NOTE: Entries will be accepted by mail but will not be returned by mail. All entries must be picked up at the museum. Entries MUST BE RECEIVED BY August 26, 2018. Entries by mail must be shipped in a sturdy container and must contain a completed entry form. Mailing address: Rehoboth Beach Museum, 511 Rehoboth Avenue, Rehoboth Beach, DE 19971. Please call (302) 227-7310 for information. Exhibitors are urged to pre-register by sending completed forms and fees in the mail to The Rehoboth Beach Museum by August 22, 2018. Please make checks payable to the Rehoboth Beach Historical Society. Walk-in entries are accepted August 18 through August 26 between the hours of 10 a.m. and 3 p.m. on weekdays, and 11 a.m. to 3 p.m. on Saturdays and Sundays. No entries will be accepted after August 27, 2018. Entries must be picked up one full weekend after the show closes. Labels: Print clearly and affix one label to each piece. You may use your own label but it must have this information. December 30, 2017--News: the Needlework Exhibit in Rehoboth Beach, DE will be held in September/October of 2018. 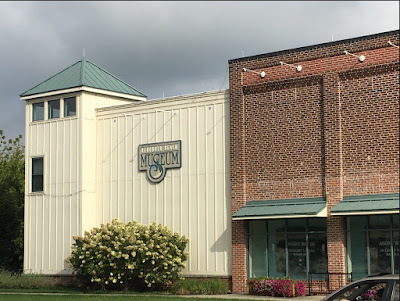 The museum's director recently wrote....."As many of you know, the Historical Society, which operates the museum, has been raising money to complete construction on the second floor. We have finally raised enough money to begin construction and we will do so beginning January 2, 2018. Construction will continue through at least the end of April, 2018. This means that the Needlework exhibit will not be held at its regular time in 2018. We will hold the exhibit in September and October of next year. This would mean drop-off dates of mid-to-late August, and opening the weekend of either Labor Day or the week after, and a pick-up the last weekend of October. One benefit of this time frame is that it moves the exhibit farther away from the Woodlawn exhibit, and gives the exhibit the chance to be seen by more visitors." This is good news for those who participate in both exhibits (Woodlawn and Rehoboth Beach) and about the museum's 2nd floor construction. Actual exhibit dates will be published once they are known.